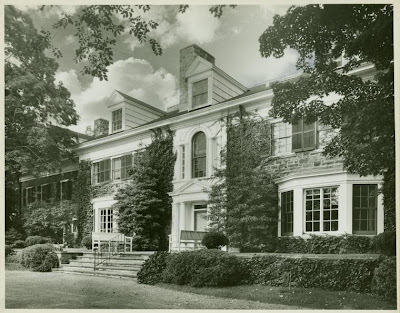 'Hawirt' was built c. 1904 for William Richmond Peters by the architect Erick Kensett Rossiter in Mill Neck. Peters was founder and president of Peters, White & Co. which imported chemicals as well as a founder of Columbia Trust Company. 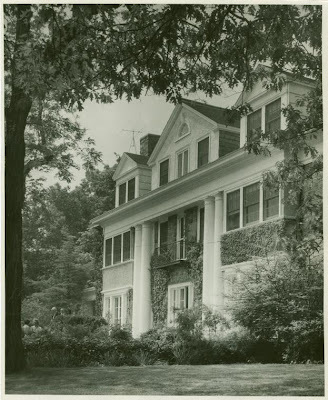 The house still stands and is located on West Shore Road in Mill Neck. Those two photos are the ones I found in the NY public library along with information about the stones used to build it having come from some historic source or something. Wish there wewre photos of the interior.